GlogauAIR is a non-profit organization founded in 2006 by the artist Chema Alvargonzález with the intention to create a meeting point between artists from all disciplines to work in collaboration, expanding their practice in terms of materials, formats and style. 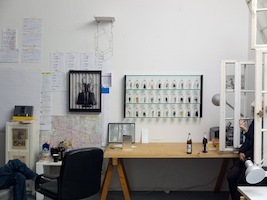 GlogauAIR offers the use of a studio space in a superb location in Berlin. There are 13 studios distributed over 3 floors. Artists from all over the world and in almost any discipline stay at GlogauAIR for three or six months to develop their artistic project. 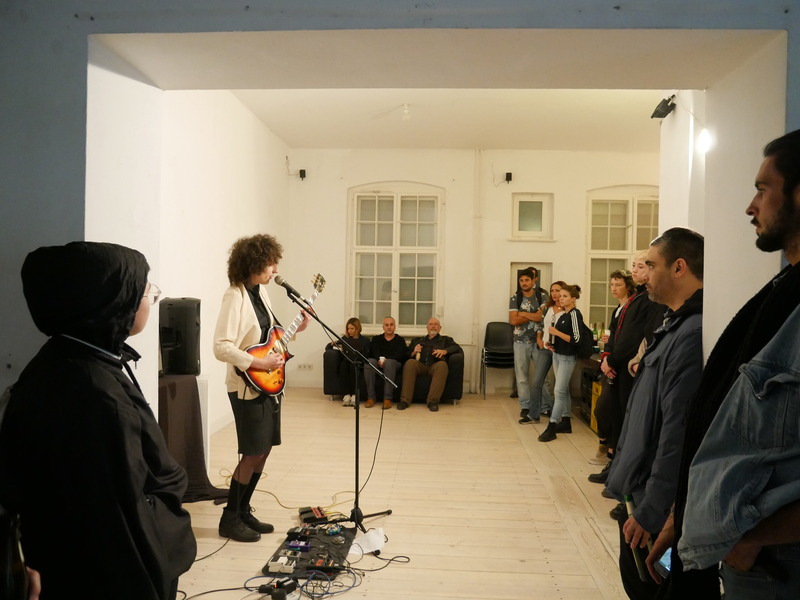 The project space is the perfect venue for all sorts of events like workshops, classes, trainings, film screening, lectures, photo or film shootings, and exhibitions. It is 150 squares meters in three semi-detached rooms with white walls, white wooden floors, high windows, natural lighting, and plenty of wall and floor space as well. Check our calendar to see the latest events and exhibitions or sign up for our Newsletter to always stay informed. 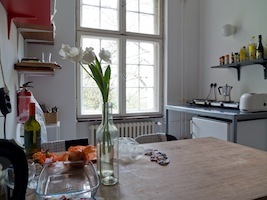 Join us for a 3 or 6-month art residency in the heart of Berlin! GlogauAIR is centered on the principles of explore, create, and exhibit. 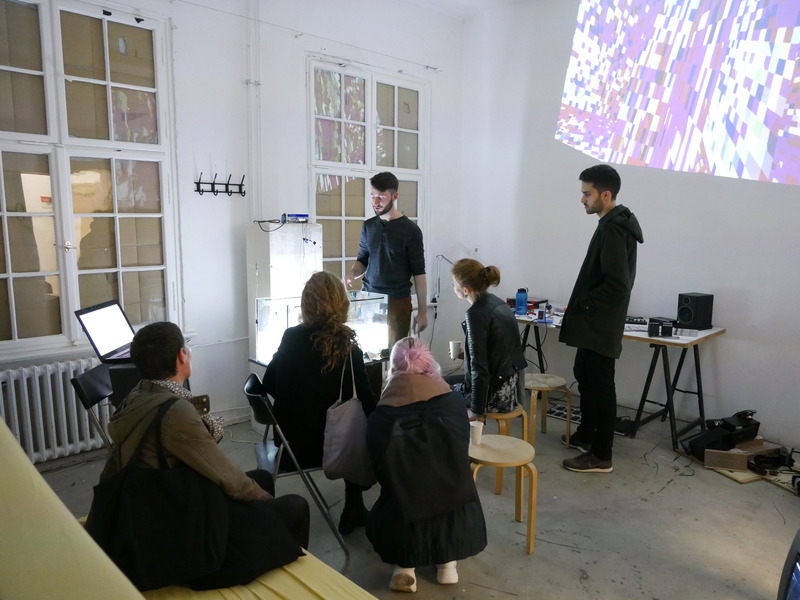 The program offers the use of a studio space in a superb location in Berlin and a unique experience to explore and discover the creative city of Berlin. Production is a key component of a residency at GlogauAIR and all residents are expected to come prepared with a specific project and to concentrate their time on executing it during their residency. 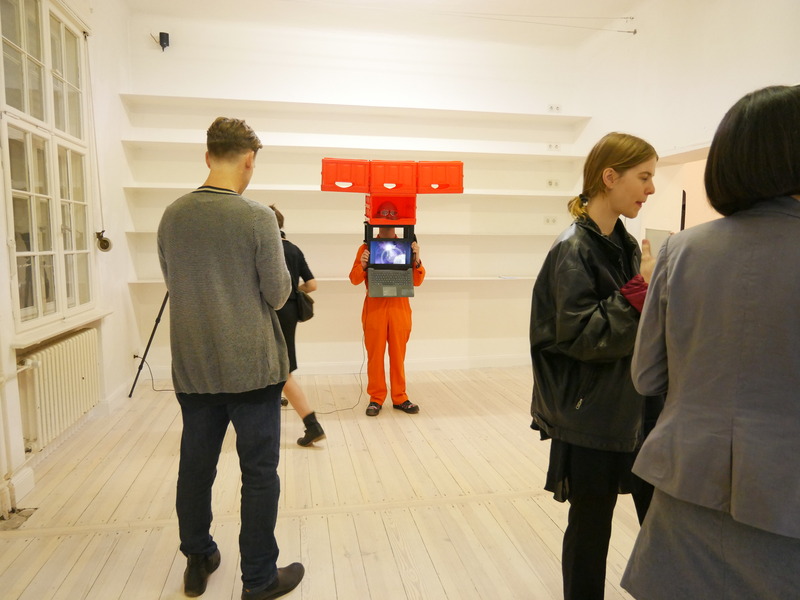 There are numerous ways to get involved and to exhibit including our street-facing showcase during the residency and all residents are required to exhibit work in our public open studios event at the conclusion of each three-month residency period. A selection of workshops and art excursions as well as studio visits with curators round out the experience. Our curatorial and technical teamwork with artists during the residency to take their presentation skills to the next level and produce video interviews to help promote career development. 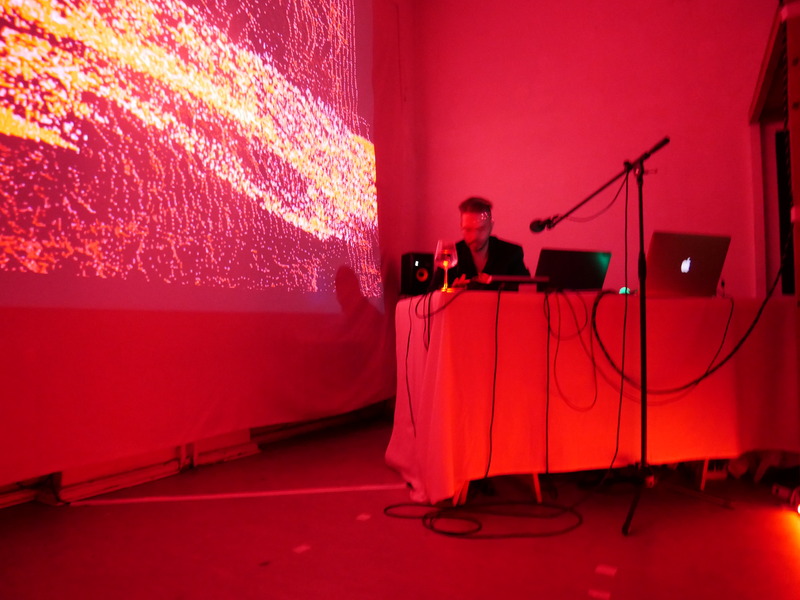 Ultimately, GlogauAIR is a base in Berlin to be able to visit the city and it’s thousand cultural venues and a place where other artists are living a similar experience in an atmosphere of friendship and collaboration. GlogauAIR´s Open Studios Exhibition offers the residents direct contact with the local artistic scene and a dialog with the public. 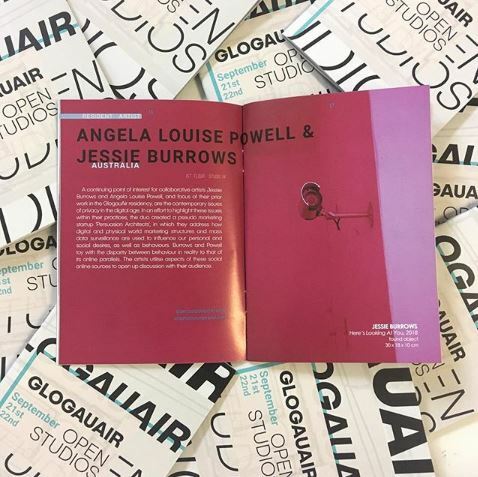 In preparation for the Open Studios exhibition, GlogauAIR will edit a catalog with information and photos of every resident artist, as well as a flyer and press release. 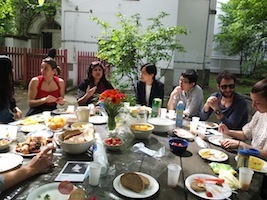 You are also invited to take part on the different activities and collaboration projects organized in or by GlogauAIR, including artists talks, interviews, studio visits and interchange programs with other residences and institutions, as well as a welcome lunch to get introduced to GlogauAIR’s community. You will be included in the resident artists’ database accessible on our homepage. At certain points during the residency, we will be offering assistance, advice and attending technical demands with our experienced art technicians. GlogauAIR will also provide access to all the equipment and tools available in the residence with a fair use policy. Multimedia: 4 beamers, 6 CRT TVs, 4 TFT screens, 6 DVD players, 2 media players, sound mixer and speakers. Tools: Hammers, screwdrivers, pliers, saws, wrenches, hand and vertical drill, mitter and grinder saw, sander, white wall painting, rollers, etc. Artists from all over the world and in almost any discipline stay at GlogauAIR for three or six months to develop their artistic project. 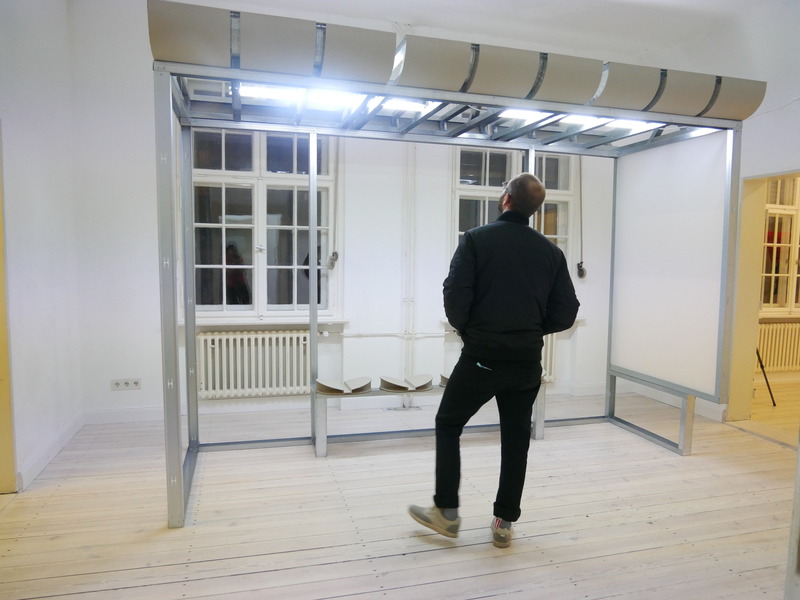 GlogauAIR is made up of an entire historic Berlin in building with 13 studios distributed over 3 floors with high ceilings and lots of natural light. Each floor has shared kitchen, shower, WC and WIFI, basic expenses (maintenance, gas, electricity, and internet) are included. The kitchens are fully equipped and the studios have a double sofa bed with bed linen, table, chairs, desk lamp/bed lamp, wardrobe, and shelves. There is also a spacious garden and a backyard for common use. GlogauAIR offers residents the opportunity to choose between 3 or 6-month residency durations. 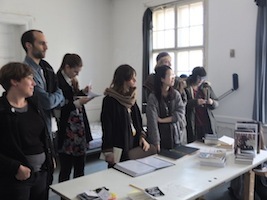 A jury formed of professionals from the Berlin art community will choose the admitted artists and the decision will be communicated by e-mail only to the selected artists one month after the application deadline. Artists are expected to present a specific project proposal that can continue or complete ongoing practice in any discipline but must be timed to fit within their chosen residency and be accomplished within their residency period (3 or 6 months). April 03, 2019 – June 30, 2019 or September 31, 2019. Residencies are either 3 or 6 months in duration. 600 euro per month for accommodation in live/work studios + 900 euros curatorial and technical support fee per quarter for Open Studios. Total 2,700 euro program fee for every three months.